Today, for the 30th Day in my 30 Chic Days Series I am going to share with you ten things I've learned over the past month. I have a mixed relationship with 30 Chic Days - on the one hand I love the connection and momentum that gets going when I post daily; I also find I can do more and write more than I think I could have. On the other hand, posting daily does require a lot - a lot of commitment, a lot of creativity, a lot of energy. 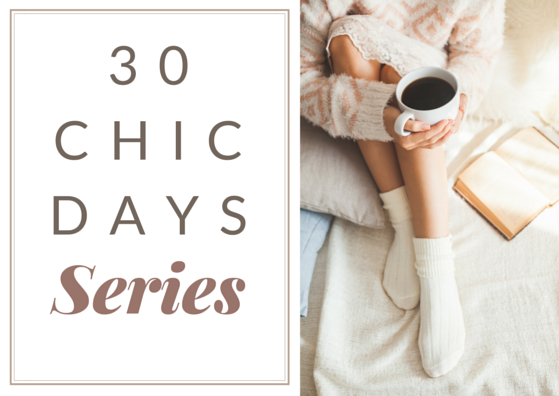 So here's my lessons learned during this, the fourth series of 30 Chic Days. Self-care is important. Giving yourself time to relax, read, groom, be, is not self-indulgent, it's a necessity. You will have more to give to your loved ones when you feel filled up yourself. Having 'white space' in between things to decompress is nice too. Drink lots of water - I've been drinking more since reading the comments in yesterday's post because I don't want to get dementia when I'm older! And I plan to go back to my old habit of drinking a big glass of water before I go to sleep. Don't go overboard with the baking. I gave myself a week's worth of off-and-on headaches from indulging in my desserts (it was the icecream I had with them - dairy and sugar are a lethal mix for me). Everything in sparse moderation is the key. Turn off the electronics. I've been more in front of my laptop screen this month, however yesterday, when I finished my 'Boudoir Time' post in the afternoon and did not open my laptop after I arrived home from work, I actually practiced what I preached and enjoyed a soothing hour of boudoir time before turning the lights off just after 9pm. It was just what I needed. The comments are my favourite parts of each post. There is so much collective wisdom and sharing from chic ladies all around the world. Thank you for contributing! As with a previous 30 Chic Days series, when you think you can't do something, you can. Committing to an action and following through with it is very satisfying, and it builds your 'completion muscle'. When I quickly ran out of meal and outfits to post about I had the choice to quit early or change what I was posting. I wanted to be a finisher so I changed the format of my 30 Chic Days posts. Enjoy your wins. I am so thrilled with how popular my new book has been, both with how many ladies have purchased a copy and also the reviews. I'm not one to go out and buy something big and fancy to celebrate, but every so often I'll just take a moment to say to myself 'well done you'. And sometimes a win is as simple as being able to tick off your last to-do listing of the day or know that you've honoured yourself by eating in a healthful way the whole day. Partake in fun stuff - every day! I worked a lot the past thirty days, both in my actual job, plus on my blog and writing (which doesn't feel like a job but it's still something I need to get done because I said I would). But I also had time every day to read something interesting, watch something fun like Gossip Girl (oh my goodness... Chuck Bass, so hot! ), and take photos of our cats doing silly things. I also love that my mum, sister (and sometimes brother too) often start a 'round robin' type email which progressively gets sillier and sillier the longer it is passed back and forth. The topic starts out as a normal email, but then disintegrates very quickly, often with hilarious results. Move your body. I know this sounds totally boring to say 'exercise', but now that I am in the habit of walking daily, I love it so much and really miss it if I have to miss a day. Some days I only go out for twenty minutes and some days it's an hour. In the past thirty days I've missed less than five days total and I can live with that. I honestly never thought I'd see the day when I looked forward to exercise. And finally, be good to yourself! Even though I'm much, much better about talking nicely to myself than I used to be, I still found I was being mean to myself every so often. I would sometimes treat myself like a workhorse and give no thanks either! There's only so often you can put up with that before you start rebelling against yourself. Now I treat myself just as I would anyone else i.e. nicer. 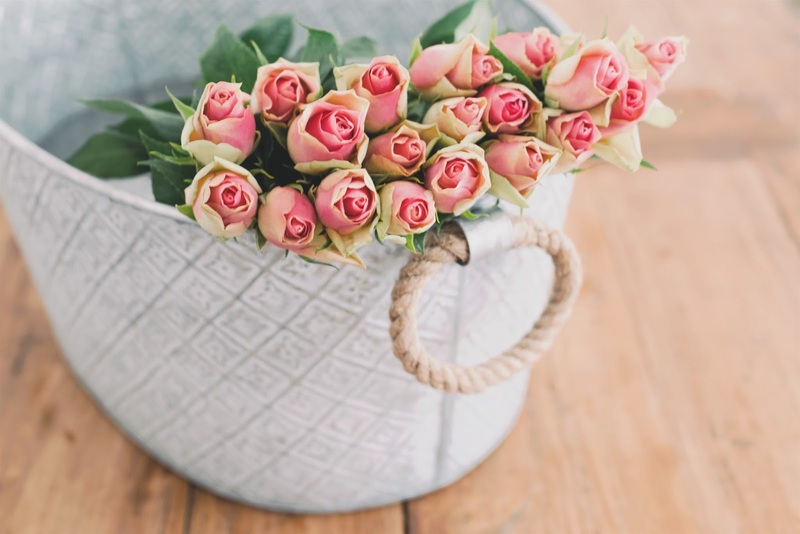 When we consider what is reasonable by applying it to a loved one, we very quickly come to see that we have way higher standards for ourselves than we would ever expect from someone else. It's exhausting! I think that's when I procrastinate, self-sabotage and resist too, so it actually is counter-productive. Thank you so much for being a part of this series of 30 Chic Days, I hope you had fun too. I'd love to hear of your takeaway(s), either from one of my posts or the many fabulous comments. We have to give Margaret P a merit award for 'most comprehensive comments' too. Step up and take a bow, Margaret! This series of 30 Chic Days wouldn't have been the same without you. 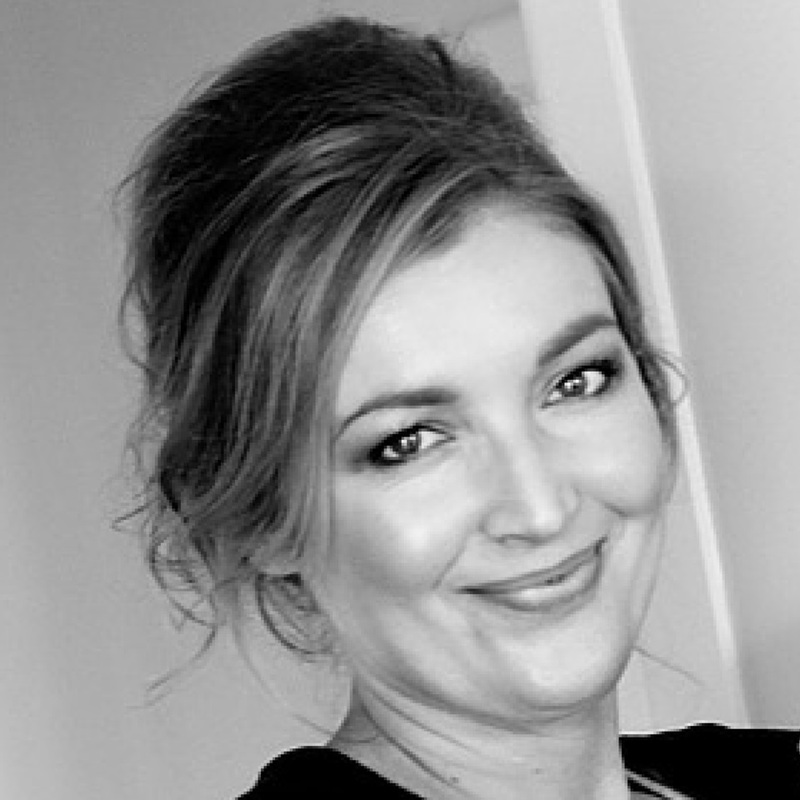 Thank You Fiona for taking the time out of your busy schedule to do this special 30 day blog. I just recently discovered your web page and have read all your wonderful books on kindle-including your newest book. I have so enjoyed everything I have read- You inspire me to want to create and enjoy a better, healthier and more fulfilling life for myself and for my family. Always looking forward to your next post. MERCI! Lorna L.
Yay, Lorna, I'm so happy to hear this. I'm all about making life more fun, enjoyable and all the other good things you mention. I have been loving this day by day blog too and also purchased the new book! One more thing about water drinking. If we do not drink enough before bed, the blood also thickens slightly and can clot more easily and that can lead to heart attacks. More heart attack happen in the early morning than any other time, so hydrate before bed for that reason too.I also lost a kidney at age 28 from kidney stones. My urologist said if you do not get up in the night to use the bathroom, you did not drink enough water the night before! Thanks so much, Doona; I'm glad you are enjoying my book and the series. Goodness, now I really am going to drink more water, and maybe 2 glasses before bed! Fiona, I cannot tell you how much I have enjoyed this 30 day series as well as your new book, which I have almost finished reading. I also just gave a copy to a dear friend who will be traveling to France with me this September. I gather that you've done several other 30 day series previously. Could you possibly provide links to the first day of each series? I understand that this must have been an enormous undertaking to provide such thoughtful essays each day, but I hope you know how warmly they have been received. Like you, I've so enjoyed reading the comments each day and even feel that I almost know know some of the frequent contributors. If we can't meet in person, how lovely that we can at least meet here. Thank you, Fiona, for making an elegant and beautiful life seem more achievable and for helping us realize that we have soul mates all across the globe. As always, I have loved your 30 days of posts and wow, you did it everyday. I am impressed with myself if I blog once a week. This is probably a silly question, but do you find it more difficult to do boudoir time in Winter? I find that having to do face mask, cream on body, etc so unpleasant in Winter that I just give up. 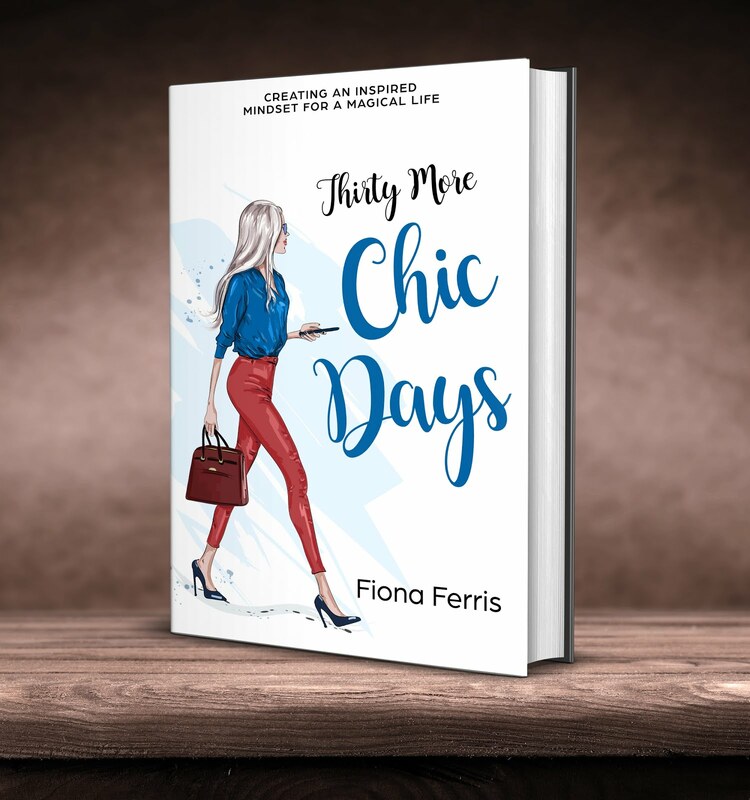 This has been a lovely experience, Fiona, following your 30 chic days & also doing 30 chic for myself on my blog. Very gracious of you to invite people to join it, it's been fun & very revealing! 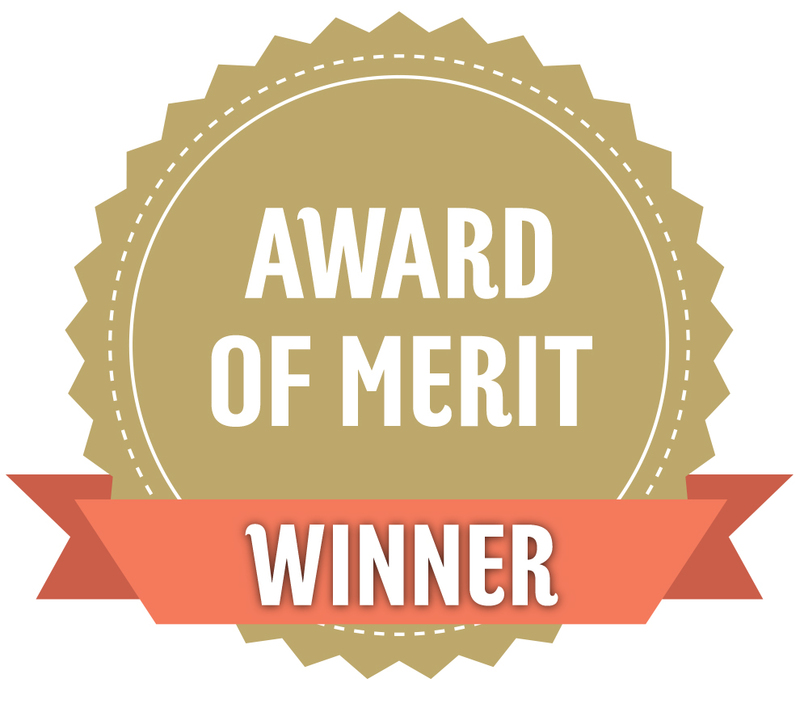 First of all, I'm overwhelmed that I have been awarded a Merit Award! I'm tickled pink, as they say over here in the UK (not sure whether this little saying is universal across the English-speaking world!) Thank you so much for this. I would also like to add my thanks, to all those already expressed, for 30 wonderful days of posts. Each and everyone has been interesting and has kept me (and I dare say others) wanting more. I'm glad I brought to everyone's attention the need to drink more water - I don't mean litres and litres of the stuff, because then we dilute the essential body salts too much and can even make ourselves ill in another way, but just by drinking sufficient to keep us well hydrated throughout the 24 hours, and especially during the night. My GP said just to have a glass by my side when I'm working at my desk, and to sip it occasionally - that way it's surprising how much I can drink, as older people - of which I am one - seldom feel thirsty as young people and children do. This is often a statement I hear older people make, "But how do I know I need a drink if I don't feel thirsty?" The answer, my GP said, is if you feel thirsty you are already dehydrated. I do wish I could read your earlier books, Fiona. I shall have to invest in a Kindle, I think, if only to read those! But I just love proper books, even the one I'm reading right now which is so heavy! So I hope you will consider bringing out your Kindle books as paperbacks sometime. I shall now look forward to your weekly posts and with all those meeting here - for it's like a meeting of minds - thank you for your lovely posts over the past month. I am still considering having my own blog - I have to admit the idea is very tempting. I will certainly announce it here if I do start one. I can't believe we have come to the end. Fiona, you have made a tremendous effort in writing something valuable each day and you can take a bow for doing it for the full 30 days. Thank you so much for all your effort this month! I joined a bit late, but am so pleased to have discovered your blog and books. Have a great day! Thank you for your 30 Days posts...so glad I found your site! I really loved the last post - especially about being good to yourself. And taking time to just "be"....years ago I went to a Bible Study group and the leader urged us to slow down and just be. Said we were made to be human beings, not human "doings". I try, but like everyone it is a work in progress. Thank you for all the great ideas...I realized yesterday how during the summer ( here ) off from school I try to cram so much my to do list in and get distracted by all there is to do... I realize this will be the case when I retire, too. So with your inspiration I am going to try to make a new "schedule" where I make more time for me, and not all the things that need to be done, or that I want to get finished. More reading, more writing in my journal, want to write down all family memories with old photos...etc. So thank you for your insight and great ideas. Now...out the door shopping for a brunch tomorrow. 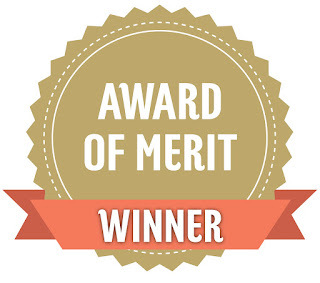 The two teachers who collaborated on the award winning project with me are coming for brunch...I have favors, books I picked up for them, framed certificates, and other goodies. Going to set up on the screen porch...french toast, fruit salad, and mimosas! Thanks again...look forward to future posts! PS That lunch sounds a delight, Ann! Yes, we have to learn to just "be" ... today, husband was all for working on cutting the hedge between our neighbour's house and ours, and he is actually out there now, but in between the morning and now (1.47pm UK time on Thursday) we have been to our local seaside town in which we live (on the outskirts) as I wanted to take some watercolour pictures to be re-mounted (the frames are fine; my late mother had them re-framed in the 1950s and the frames are actually rather nice) so after I'd chosen the colours for the double mounts we left the car parked and walked to a rather nice hotel on the sea front and just had coffee and biscuits sitting on the veranda overlooking the Green, beyond which is the sea (the ocean if you're in Canada our the USA, but we call it "the sea".) I said it was nice just to sit, we'd had a busy week (when are we not busy, even in retirement?) and it gave us chance just to sit there, enjoy a cup of coffee and admire the view. So thank you also from me, Fiona, for reminding us we often need to "be" and not just "do". I, like so many of your readers, will really miss your daily posts, but we appreciate you can't keep that up all the time, and so will appreciate even more your weekly posts. Fiona, thank you for providing so many women in the world with an opportunity to reflect on their daily activities. It is truly in considering the small things that we gain control over our lives and our style. I'm off to French class this morning with my apartment in order and my homework done. Chic is definitely in the details. Merci! Fiona, just want to thank you for your blog. It really never occurred to me that there was this way to live. I still have to keep reminding myself because I get into this monotonous life of going to work, coming home, making dinner etc....only thinking the "special" things are if we have something planned or are going out etc. when I have learned from you it's in the little things everyday. Such a new way to look at life! Thank you for doing this series Fiona. I enjoyed it immensely and the comments were stellar reading! 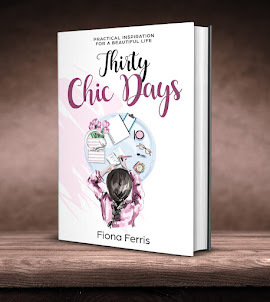 Fiona I have thoroughly enjoyed the "Thirty Chic Days" series. Even though you are half a world away, coming here every day feels very much like a get together with those special girlfriends in our lives. It's time that I savor. You inspire and teach in such a gentle way and I'm so glad I got to enjoy it with so many other lovely ladies. Thank you for your labor of love. I love your blog! I can't wait to read your next post. Yes, Fiona, it's like a world-wide coffee morning for we 'girls' of all ages ... but perhaps instead of coffee, that should be sparkling mineral water in a champagne flute! Thank you for your commitment and effort during these past 30 days. I have loved that through your posts you have engaged us all in this World coffee morning. You have done that, yes, with your words and pictures each day, but behind it all is your lovely spirit that shines through, bringing us out of our shells to share things with you. I think you would be a very dangerous lady to share a glass of wine with, heavens knows what secrets I would reveal!! Looking forward to reading your maybe less-frequent posts, but good all the same. PPx. Fiona, thank you so much for this series, which has been truly inspiring. I am lost in admiration at your ability to write such great posts every day. I decided to take up your challenge, but have been combining two or more days in each post. This is a link to my latest post: http://over60andoverhere.blogspot.com.es/. I am going to re-read some of your posts that have really resonated with me and plan to follow your good advice. After that, I should have some time to read your book! I'll be popping in on a regular basis to keep in touch with you and also your followers, who feel like friends too. Thirty days sure did go by quick. Once again, you outdid yourself. Gail, I'm so glad you enjoyed the series and my new book. Great idea, I'll link to the first days of each 30 chic days series. I agree, I feel like I've met lots of lovely new friends! Cat, where we live currently our bedroom is upstairs and gets warmed beautifully by our woodfire in the evenings, but when we lived where the bathroom and bedroom were a bit chilly, I'd go into the warm living room with my face mask on, then moisturise up and afterwards go into our bedroom with a hot water bottle or the electric blanket on. A cosy throw rug could be nice as well. Ratnamurti, thanks so much for joining in too! Margaret, yes, we say 'tickled pink' in New Zealand, it sounds quite English to me. I try to keep a glass of water on my desk at home and whenever I've gone to have some, it's empty, because I've been sipping without noticing. Yay for that! 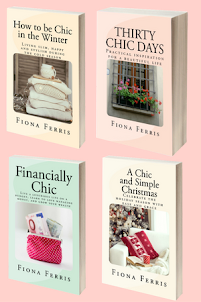 My first three blog books - 'How to live well', 'Chic inspiration' and 'How to be slim and healthy' are available as a 3-in-1 print copy on Amazon, including Amazon UK. The only book of mine that isn't available as a print copy is 'A chic and simple Christmas' but I might change that later in the year. I have so many exciting ideas for projects, it's just deciding which to do first! Wool Fairy, thank you! And I'm glad to have found your blog too. Ann, such a great idea to create your own enjoyable schedule, I love that. Margaret, how nice your coffee out sounds. I love doing this almost more than a meal out. Madame, 'Chic is in the details', well said! Amy, haha, the Fiona Fix. Thanks for your lovely comment. Carla, I love the way you've said that and I'm so glad you've taken this on. Not sure if you have my new book yet, but one of the chapters is called 'Make every day magical' and it talks about this very thing. Stephanie, my pleasure, and I agree, the comments were star players! Michele, thank you very much. I agree, it's cool that we can all get together to exchange chic ideas. PP, thanks so much for your contributions and own 30 Chic Days. You've brought a joyous and colourful energy with you which has been appreciated. Sue, thanks so much for joining in! Merci, merci for this wonderful inspiring 30 days. A huge bouquet of blessing to you Fiona and the lovely Chic Readers who so graciously commented, especially Margaret and Michele, my peers in age , who graciously affirmed me. 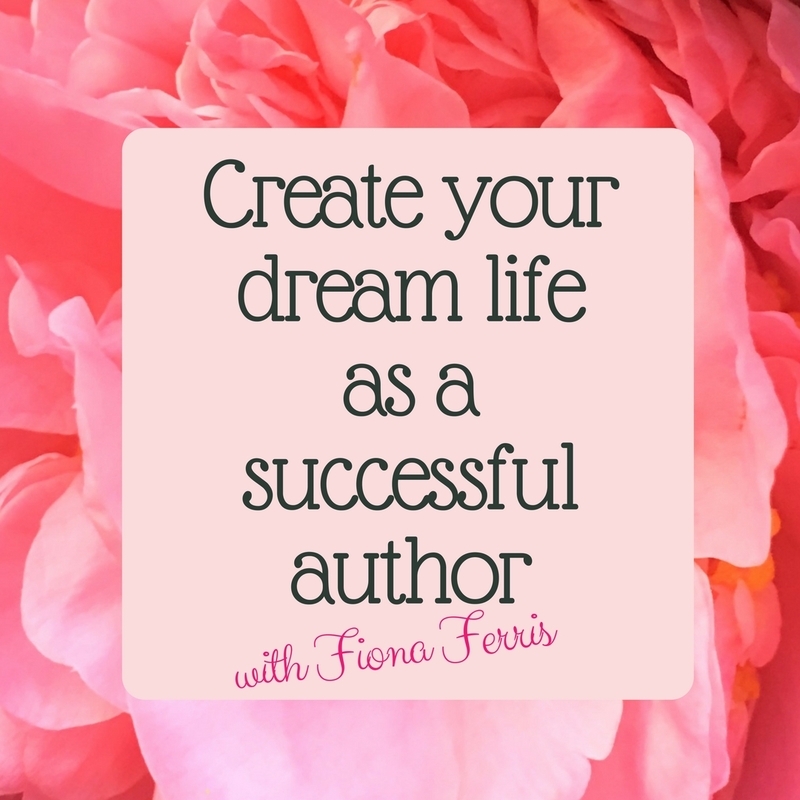 The lessons I take from this series, Fiona, is that One is never too old, or it's never too late to cultivate small daily changes which result in a more elegant, refined, restrained, lifestyle beautifying both ourselves and the atmosphere around us. Merci, Fiona, may we all step off the pages of your beautiful writing and live our own "ordinary" lives most elegantly, women. Lorraine, so beautifully said, thank you for your lovely words. I'm so glad I just found your blog thanks to The Simply Luxurious Life! Excellent content! I've signed up. Taste of France, so happy to have you here, from Shannon's beautiful blog! PPS I have ordered your 3-in-1 book, Fiona. It is cheaper than buying a Kindle specially for reading them as individual books and I do love to have an actual book in my hand rather than an electronic device. Hi Fiona. I was just thinking what one of my favorite things I have learned from you is putting extra virgin olive oil into my body lotion. I now do that and I'm even going to try coconut oil added to lotion also. I was thinking that a great suggestion for a blog post would be "beauty tips and tricks" and all these lovely women could chime in and give us all some secrets. I bet Margaret P has some words of wisdom! I must look up Rare Objects because I absolutely loved The Perfume Collector and have enjoyed other books by Kathleen Tessaro too. Carla, what a great idea for a post. I hope I can dream up more than that one tip :) It would be excellent to hear every elses tips too, oh goodie! Of course you would love Gossip Girl! I love Chuck Bass as well. But, my favorites are the moments in Paris with Blair and Serena, and Blair's Audrey Hepburn dreams!! I found your delightful blog and book through Jennifer Scott's blog. I must say that you are a lovely writer and have inspired me greatly! I am enjoying your book and really thinking through all of your wisdom! I truly needed to hear what you are saying at this juncture in my life. Thank you for putting the time into your blog. I have so enjoyed the last series. Good reminders to be nice to yourself and gracious to others. Welcome, Heather, so glad to have you here. I love how you say 'be nice to yourself and gracious to others' - it's perfect!